Evidence is such a bland word for such an interesting mix of colorful things: Evidence can be a Champagne flute with lipstick on the rim, a text message on a cell phone, a bloody glove or a handwritten document that says it is the dead millionaire's last will and testament. What evidence is allowed into a trial influences the presentation and the ultimate verdict, so the rules governing evidence are important. In federal courts, the Federal Rules of Evidence control these issues and they have an impact on state courts. too. 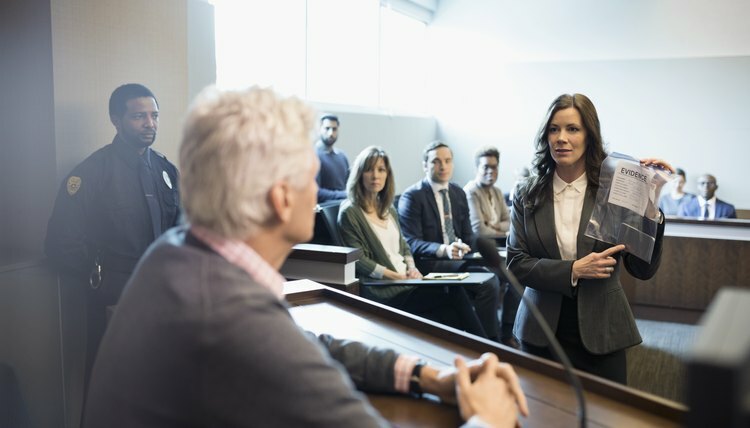 The Federal Rules of Evidence are the rules that govern the introduction of evidence at civil and criminal trials in United States federal trial courts. The Federal Rules of Evidence are not newly hatched. They were adopted by an order of the U.S. Supreme Court over 40 years ago, then sent to Congress for review and passage. The rules have been amended many times. They apply to most civil and criminal actions in federal courts. The Uniform Rules of Evidence for states were written to be virtually identical to the Federal Rules of Evidence, so the federal rules also play a role in state courts. Although all of the rules are important to know if you are practicing law, several are better known than others, including Rules 201, 404 and 702. Judicial Notice of Adjudicative Facts, Rule 201 of the Federal Rules of Evidence. This rule allows a court to recognize as true, such facts that are generally known to be true or facts that can be readily checked by indisputably accurate sources. Once the court takes judicial notice of these facts, the jury is instructed to accept them as true. What Happens When a Motion to Compel Is Filed? The term adjudicative facts refers to the facts in a particular case, for example, the time at which the sun set on a particular day the prior year. Normally, in order to establish adjudicative facts, parties must introduce evidence, often witness testimony. But if the court takes judicial notice of a particular uncontroversial fact, like the exact time the sun set on a particular day, the trial goes faster and fewer witnesses need be called. Character Evidence; Crimes or Other Acts is Rule 404 of the Federal Rules of Evidence. This rule provides that a party cannot use evidence of a person's character trait to show that, on a particular occasion, the person acted in accordance with that trait. For example, evidence that Mr. Jones lied on many occasions to his wife and family cannot be introduced to suggest that he lied in the testimony he gave at trial. But exceptions do apply. For example, a criminal defendant can offer evidence of his good character and, if he does, the prosecutor can offer evidence against it. This rule also provides that evidence of a crime or other wrongful act cannot be used to prove a person’s character in order to suggest that, on a particular occasion, he acted in accordance with that character. For example, evidence that the defendant was convicted of murder 20 years ago cannot be used to suggest he murdered someone last year. Testimony by Expert Witnesses is Rule 702 of the Federal Rules of Evidence. This rule permits certain people to be classified as experts because of their knowledge, skill, experience, training or education. Those qualified as expert witnesses are allowed to testify about, and explain, scientific, technical or otherwise complex matters. The rule also permits them to offer their opinions on these matters. Spengler, Teo. "What Are Federal Rules of Evidence?" , https://legalbeagle.com/13711847-what-are-federal-rules-of-evidence.html. 21 June 2018.